Institute for Study Abroad – Butler University (IFSA-Butler) provides study abroad opportunities, plus academic and personal support services, for American and Canadian college students who want to earn credit for international study. IFSA-Butler offers study abroad programs in Shanghai, Beijing, and Xi’an. Looks like there are no Admins yet in this group! Interested in becoming an admin? 1. Appoint members who will post announcements/documents to the pinboard. 2. Edit information about the group. 3. Post/delegate members to post group updates/events, job opportunities, etc. 4. Keep the group engaged by posting fun and resourceful content! 5. View Group statistics to understand your group’s demographic makeup. Thanks for filling out this short form! We’ll review it shortly and let you know if you’ve been selected. The Institute for Study Abroad, Butler University (IFSA-Butler) is a nonprofit organization founded in 1988. Our primary goal is to provide quality study abroad opportunities, plus academic and personal support services, for qualified North American undergraduates seeking to earn academic credit through study abroad. 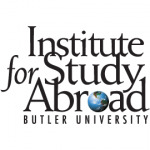 While the Institute for Study Abroad has an affiliation with Butler University for transcripts and other purposes, it is a separate organization. IFSA-Butler is organized to assist our students from the time they apply until after they return. Our staff in the U.S. prepare students for the academic and cultural changes that await them, and our offices around the world provide on-site support to help students make the most of their study abroad experiences. Previous study of the Chinese language is not required for Alliance programs, except for the Intensive Chinese Language program at Fudan University. Please visit the Alliance for Global Education website for more information or to apply.